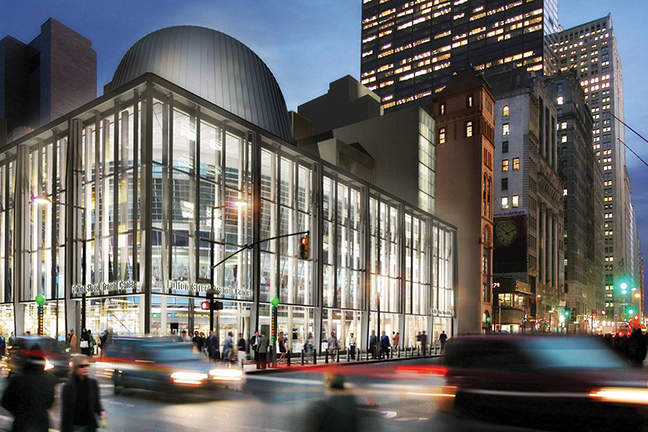 Situated in the heart of Lower Manhattan, MTA‘s Fulton Center is designed to be a catalyst for the redevelopment of the area. Handling an average of 275,000 passengers per day and linking nine subway lines, the station complex is one of New York City’s busiest underground transit interchanges. 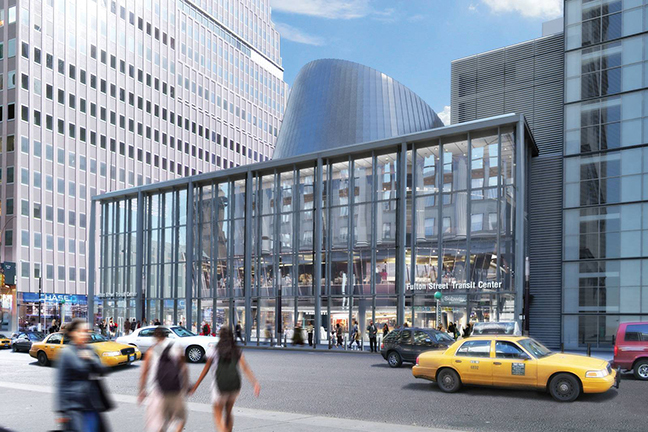 The MTA appointed Arup, with Grimshaw, to develop designs for a new transit hub, with re-engineered platform and passenger access below ground. The Transit Center is organised around a grand civic space at its core. 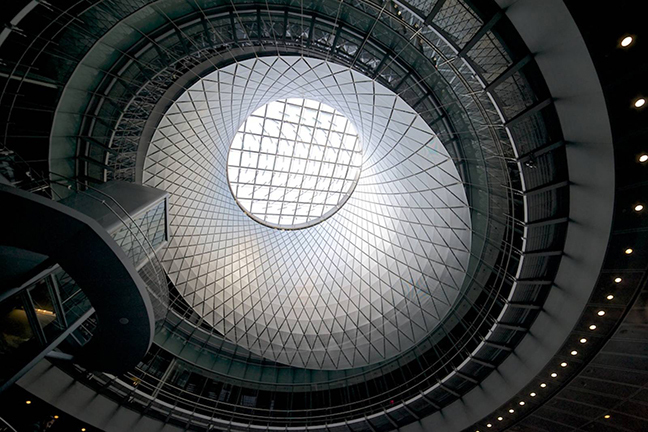 This atrium design is topped by a glass oculus and defined by a hyperbolic paraboloid cable net, stretched within a cone, developed in partnership with artist James Carpenter. This cable net supports an inner skin of filigree metal reflector panels, optimised to capture and distribute year round daylight to the deepest levels of the transit centre. The planning of the building is organised to streamline the transfer of passengers around the central space, providing an intuitive means of wayfinding.